Ageing is a natural part of life for all living creatures, including your pet. Unfortunately, our pet’s bodies age at a much faster rate that our own. This means that your furbaby will be considered ‘senior’ much sooner than you may expect. 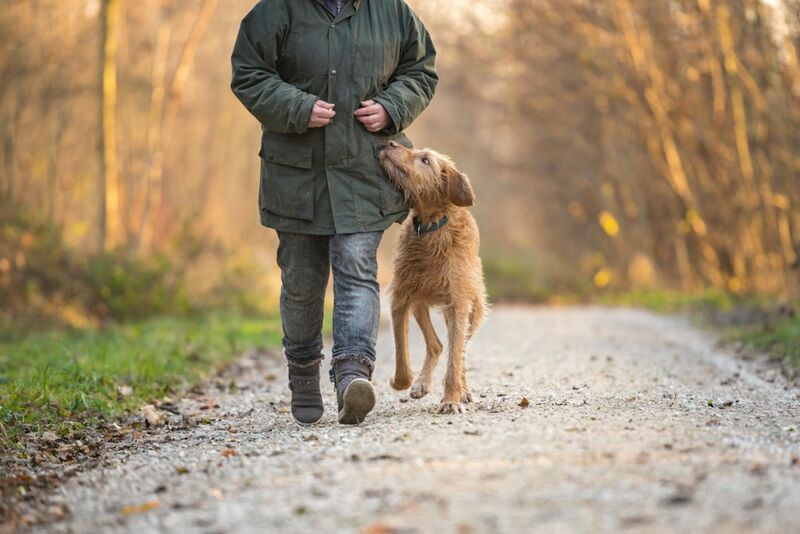 If you haven’t cared for an older pet before, it is important that you understand what to expect and what you should be doing to ensure that your precious pet gets the care he needs in his golden years. Here are our top tips on taking care of your senior pet. Our vet will probably strongly recommend that you significantly increase the frequency with which your pet has wellness check-ups as he gets older anyway, but you should make sure that you follow this advice. Since your pet’s body ages much quicker than your own, any changes that happen as a result of illness also take place much faster. This means that mild problems can quickly become serious and cause much more damage to the health of your furbaby. By ensuring that you adhere to our vet’s recommended schedule of appointments, you stand the best chance of having any developing health problems spotted and treated in their infancy. As your pet gets older, his nutritional requirements will also change. He may need less calories if he is moving around a lot less and eating too many will cause him to gain weight – something which in itself increases the likelihood of him developing health problems. Your pet will also benefit from receiving higher concentrations of certain vitamins and minerals or supplements, such as glucosamine for joint health, or Vitamin C to help reduce the cognitive effects of ageing. There are plenty of manufactured foods designed specifically for senior pets. However, we strongly recommend that you seek the advice of our veterinarian before you change your pet’s food so that you can be sure that you choose the right product and instigate a slow, manageable changeover. - More frequent bathroom breaks in the case of dogs, or even somewhere for your pet to go inside should he struggle to get out. - Rugs and carpets on the floors so that your older pet has something to grip. This reduces the likelihood of slips and falls. If there are stairs he will need to use, consider putting a gripped ramp in that he can access instead. - A comfortable bed so that he can rest and get adequate sleep. Make sure it is away from draughts and in a quiet part of the house, so he is undisturbed. - Swap your long walks for trips that are shorter – your pet won’t have as much stamina as before. However, exercise is still important, so you may have to walk little but more often than you did before. - Prevent your pet from becoming bored by offering toys that will help keep him entertained. - Don’t let grooming fall by the wayside. You may need to adapt the way in which you brush and clean your pet since he may find standing for long periods are uncomfortable. Nevertheless, grooming still forms an important part of his overall care. You know your pet better than anyone else and if your instinct tells you that something is wrong, trust it. It is much better to have your beloved animal checked out and be told that it is nothing, than later discovering he is seriously unwell and knowing that if you had acted on your instincts, it may not have got to this point. If you feel something isn’t right, book an appointment with our vet. If you would like more advice on the best way to take care of your senior pet, our friendly and knowledgeable team would be happy to help. Please do not hesitate to contact us or pop into our offices.